Orthodontics focuses on the alignment of the teeth and jaws to improve a person’s smile and oral health. Crooked teeth that do not fit together correctly are harder to keep clean and are at risk for tooth decay and gum disease and cause extra stress on the chewing muscles that can lead to headaches and TMJ syndrome. Teeth that are crooked or not in the right place can also detract from one’s appearance. The benefits of orthodontic treatment include a healthier mouth, improved speech and function, a more pleasing appearance, and teeth that are more likely to last a lifetime. How do I Know if I Need Orthodontics? Your dentist will determine whether you can benefit from orthodontics based on diagnostic tools that include a clinical exam, plaster models of your teeth, and special X-rays and photographs, your dentist can decide whether orthodontics are recommended, and develop a treatment plan that’s right for you. Cross bite: when one or more of the top teeth bite inside the lower teeth instead of the outside. We offer interest free orthodontic payment plans, call us (03) 9808 1108 for more information. The most common fixed appliances, braces consist of bands, wires and brackets. Bands are fixed around the back teeth and are used as anchors for the appliance; brackets are bonded to the front of the teeth, arch wires are passed through the brackets and attach to the bands. Tightening the arch wire puts tension on the teeth, gradually moving them to their proper position. Braces are usually adjusted monthly to bring about the desired results, which may be achieved within a few months to a few years. Today’s braces are smaller, lighter and show far less metal than in the past. They come in bright colours for kids as well as ceramic/tooth coloured styles preferred by many adults. The dentist will begin by cleaning and drying your teeth, next she will apply an adhesive substance to your teeth in order to attach the brackets. Once they are in place, she will install the arch wire into the brackets and use elastic modules to secure them in place. Typically, the entire process takes between 1 and 2 hours. Though the procedure itself is not painful, it is not uncommon to feel some level of discomfort afterward. Initially, your tongue and cheek will rub against the braces, which may cause some sensitivity, and your teeth may feel sore. Getting used to the braces will typically take about a week, paracetamol will help with this. Once your braces have been placed on your teeth, it’s important for you to care for them properly in order to get the best results and avoid causing staining or decay to form on the teeth and to prevent gum disease. When brushing, it’s important to clean your teeth thoroughly, brushing will be more difficult with braces; you will need to thoroughly clean around the brackets and remove plaque at the gum line. It is advised to brush after every meal, floss at least once a day with interproximal brushes or super floss designed for braces and use a fluoride mouthwash once a week. You will also need to pay particular attention to the foods you eat. Foods that are high in sugar may lead to excess plaque build-up that can cause tooth decay. Additionally, foods that are sticky or hard should be avoided. Lastly, you should make sure to maintain your regular 6 monthly dental checkups with your dentist – these are separate to the monthly orthodontic appointments. Treatment durations vary. The average time of orthodontic treatment is between 18 months to 2 years. Maintaining good oral hygiene, avoiding breakage, wearing any removable aspects to your treatment (such as elastic bands and retainers), and keeping regular appointments are all important to remain on schedule and finish treatment as soon as possible. Teeth move throughout our lives. Retainers are designed to hold the teeth in their corrected positions after alignment, until the bone and ligaments remodel to the new tooth position. Retainers are worn full time for a month after the braces are removed, and then night-time wear is indefinite. 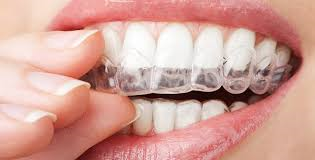 Ceramic/clear braces function the same way as traditional braces but mimic the colour of the teeth. 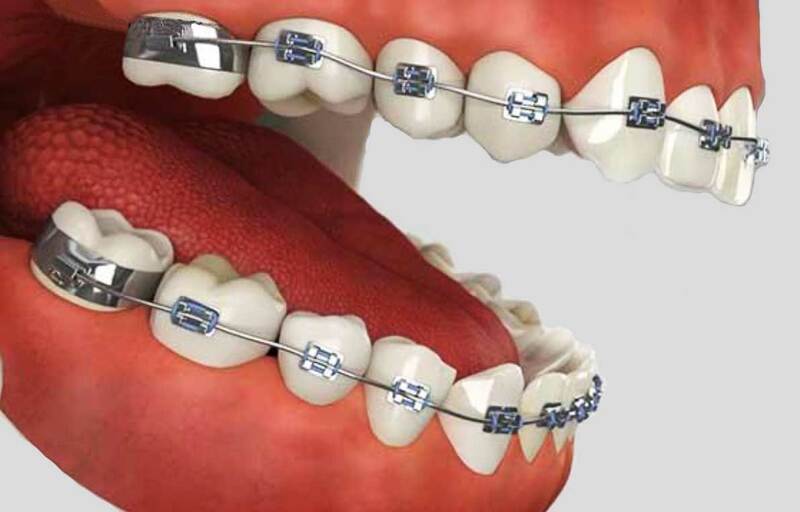 They are a great option if you would like to minimise the look of braces. Ceramic brackets are non-porous and extremely resistant to staining or discolouration. We also can use tooth coloured wires to complete the minimal look. The effectiveness of ceramic braces depends on the dental issues your dentist needs to correct. For example, traditional braces are a more effective treatment for patients with extreme overcrowding. If you have severe misalignments, your dentist may recommend traditional braces. 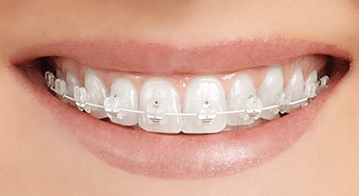 Ceramic braces are well suited for many patients without severe misalignments. Your dentist will let you know if you’re a good candidate for these braces after they examine your teeth. They’ll also let you know if your treatment time will be extended by choosing these braces. Invisalign is clear and removable so can fit in with most lifestyles. This means you can take them out for that special function if needed. It also means that you can clean your teeth effectively without having to work around braces attached to teeth. A custom made series of aligners are developed for each individual. Wearing the aligners 20-22 hours a day will gradually and gently shift your teeth into place. There are no brackets or wires, you simply pop in a new set of aligners approximately every two weeks until your treatment is complete. Visit www.invisalign.com.au for further details. There are certain conditions where early treatment is advised. This can help correct the alignment of teeth as they come through or help minimise complex orthodontic treatment in adult teeth. In other words, early treatment may prevent the need for braces later on or make the course of treatment with braces shorter and simpler. Most kids could be assessed at around age 8 or 9 years. Occasionally some conditions are treated earlier. This treatment can be done with removable plates or other devices fixed in the mouth. The treatment time is usually shorter at around 6- 12 months.